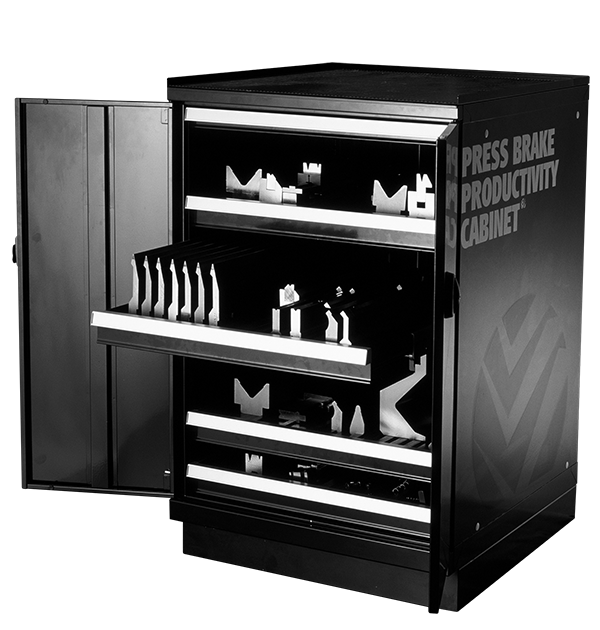 WILA New Standard Tooling Cabinets are strong, solid, tooling cabinets designed specifically to store our New Standard Press Brake Tooling. They have a load rating of 200 kg per drawer, shelves that can be adjusted to meet specific storage requirements, an anti-tilt safety device, and Nylon dividers that store all tools vertically while eliminating all steel to steel and tool to tool contact. For New Standard OZU and BIU tools. High load bearing capacity up to 200 kg per drawer. Variable layout and adjustable shelf distances. Can be easily moved using a fork lift or pallet jack. Can be set up to meet all specific requirements.